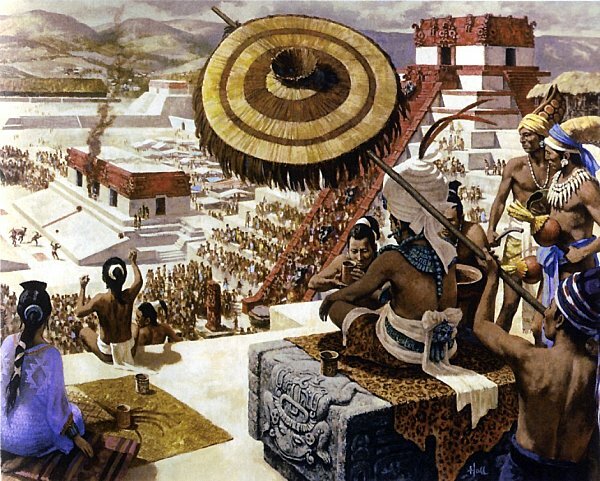 The Mayan civilization built impressive cities, were advanced in astronomy and were able to measure time. They developed a coherent mathematical system, a complex hieroglyphic writing system and highly advanced agricultural technology. The Maya lived in the area covering all of the Yucatan Peninsula and Guatemala, Belize and parts of Tabasco and Chiapas (Mexico) and the western parts of Honduras and El Salvador. There was originally only one Mayan language, which developed into many, and now some 70 Mayan languages are spoken by around 5 million people. Many of these Mayan descendants also speak Spanish. 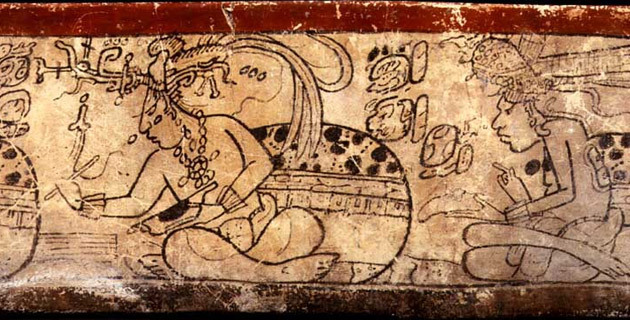 Nobody knows for sure what caused the decline of the Mayan civilization. Theories include over population, environmental changes and warfare. There are still many Mayan villages on the Yucatan Peninsula and travelers can take a day trip to the archaeological sites of great Mayan cities while visiting the Cancun area. Chichen Itza, one of the New 7 Wonders of the World, is one of the most important Mayan archaeological sites. Here the advanced architecture, mathematics and astronomy of the Mayans is palpable. Every Spring and Autumn equinox the shadow of a serpent god descends from “El Castillo”, Chichen Itza’s giant pyramid. The site is also home to the ball court, the Temple of the Warriors and its Plaza of a Thousand Columns, and the Wall of Skulls. There is a large cenote (sinkhole) in the site where human remains have been found, evidence of human sacrifice. Each nightly a sound-and-light shows is held at the site. The name Uxmal means “three times built” or “three harvests,” and refers to the complexity of this city located in the Puuc hills, an area that breaks the monotony of the generally flat Yucatan Peninsula. The buildings are oriented in relation to astronomical phenomena, such as the rise and fall of Venus, and they are adapted to the topography of the hilly site. Uxmual is considered the most important city of the Puuc region. It covered an area of 12 square kilometers and had a population of about 20,000. Zama, “dawn” in Maya, was the original name of this city on the Caribbean Sea. The name Tulum, meaning “enclosure or wall”, was given after the site was already in ruins. Tulum was one of the few Mayan settlements that was still inhabited when the Spanish arrived in 1518, but only for a short period as by the late sixteenth century there were no longer residents. Tulum, probably the best known Mayan ruins site in the Riviera Maya, is located within a national park of the same name, which is mainly composed of red mangrove, one of the most important trees in the local ecosystem. The name “Kabah” means “strong hand”. Kabah is located in the Puuc region of the Yucatan Peninsula. Kabah dates back at least to the Early Classic period. The Kabah region, which includes Uxmal, Labna, Xlapak, and Sayil, was declared a World Heritage Site by UNESCO under the name “Pre-Columbian Villa Uxmal,” on December 7, 1996. This name translates as “water with moss” or “wet water”, although some suggest that it means “muddy water”, due to the site’s proximity to a small cloudy lake. Between 200 and 800 AD, Coba was one of the largest Mayan cities in the world until its great rival, Chichen Itza, extended its domain. Coba was characterized by its superb road network. This important city developed a farming and irrigation infrastructure and trade routes which may have included control of some important sea ports, such as Xel Ha. Tours to all of these Mayan ruins are available, or rent a car and explore the Yucatan Peninsula on your own!